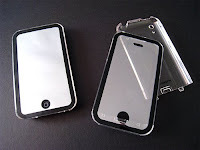 Pacific Rim has designed a new case for iPhone called iShield Mirror. The case is made of transparent polycarbonate, and consists of two pieces that snap together, with holes in the proper places to allow for easy access to the controls. The manufacturer also added a film to the surface that functions as a mirror when iPhone is not in use. When activated the film on the front is transparent enough to allow for normal usage and thin enough not to impede functionality. 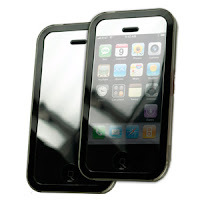 The polycarbonate is completely clear so you can view your screen without obstacles. You can purchase the case for $29.99 from Pacific Rim’s website.